Last time we were on safari in Kenya’s heart land, the Masai Mara, we got our fair share of unseasonal rain and afternoon storms. Personally I love the excitement of a brewing storm on horseback, when your horse prances underneath you, the wind whips and lashes at your face and the thunder bangs overhead – the atmosphere is electrifying. Steven and I were well equipped with our Driza-Bone’s compared to some of our riding compatriots who covered up in plastic ponchos, which flapped and blustered about spooking the safari horses. If you’re unlucky to get bad weather on your riding holiday its best that you’re prepared. My choice is the Australian Driza-Bone which is the duck’s nuts for keeping you dry and warm in torrential rain and is specifically designed for horse riders. Firstly, the coat is made from 100% cotton heavy weight oil skin, which is one of the toughest and strongest fabrics. The fabric is treated with natural paraffin wax to protect from the elements, making it drenching proof. Ingenious design elements like the coat being long enough so that the rain won’t run into your boots and leg straps to stop your Driza-Bone from flying around in the wind completes this jacket. Some of my GT clients baulk at packing a heavy, chunky Driza-Bone, where it takes up precious space in a weight restricted bag. 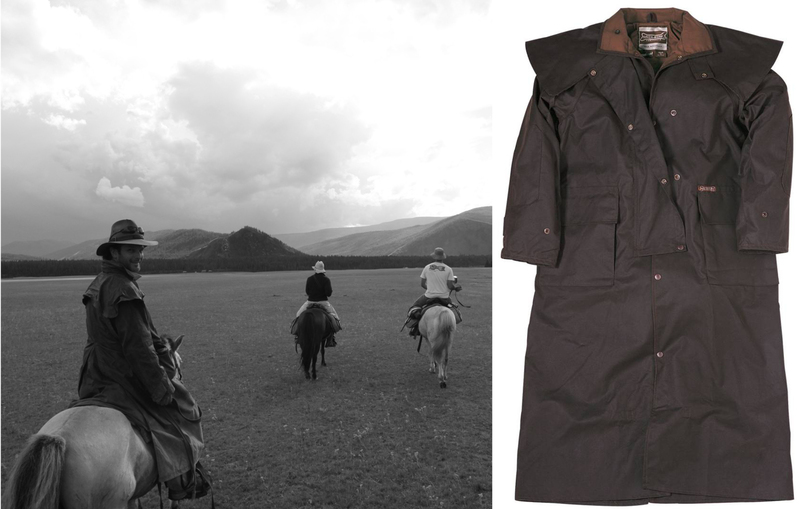 But once you arrive on safari, your coat can be tied to your saddle and at the ready when inclement weather hits. And don’t be put off by the price these jackets will last longer than you.